This two-year project (1.1.2017 – 31.12.2018) made up of an international team of five researchers (project leader Dr. Malte Gasche, Co-project leader Dr. Ethel Brooks, Dr. Ilsen About, MA Martin Holler, MA Raluca Bianca Roman) is coordinated by the Centre for Nordic Studies at the University of Helsinki and examines the histories and divergent fates of circus owners, circus families and performers in Europe under National Socialism. The project has received funding from IHRA, Fondation pour le Mémorial de la Shoah, the Finnish Academy and the Finnish Kone Foundation. In Europe during the Nazi era, circuses were immensely popular forms of entertainment. 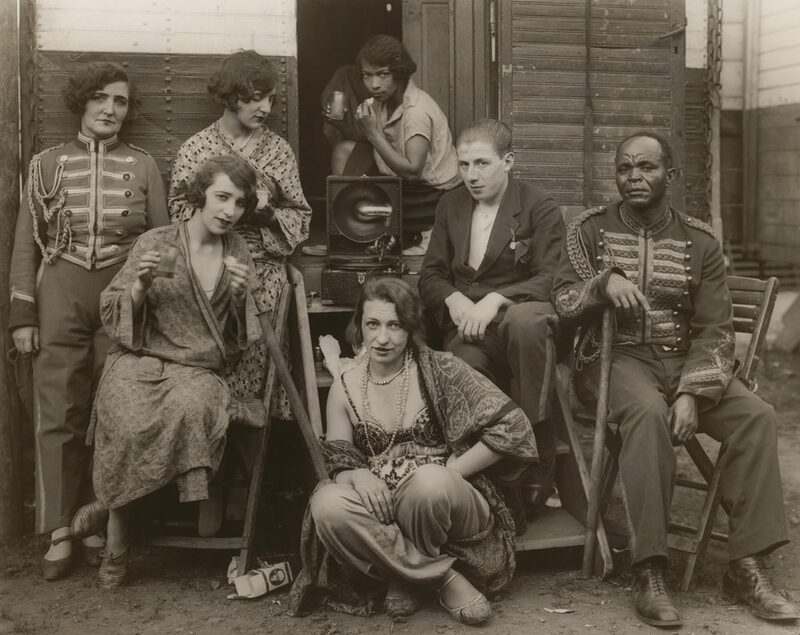 At the same time, many circuses had been owned and operated by generations of Sinti and Roma, Jewish and Yenische families, with performers from across the world and of all backgrounds, including people with physical disabilities and those of African and mixed descent. Circuses were, therefore, able to cross national borders, cities, towns and villages. As a site of both permitted leisure and possible subversion of established power relations, as well as the site of racial and social mixing outlawed by the Nazi regime, circus owners and circus people featured, at one and the same time, as possible beneficiaries, victims, lifesavers and resistance fighters. Despite the significance of this complex and multi-faceted history, there has been little research carried out on the fate of circus people before, during and after the Nazi period. For this reason, our research objectives are to document the lives, repressions, deaths, but also the survival strategies of travelling circus people in a European comparison during the Nazi period. We aim to do so through selected life stories, with a goal to understand the almost total absence of circuses and circus people in scholarship, teaching and memorialization of the victims of the Nazi era. Since this constitutes a new area of focus, our project will inform a number of audiences. As the project reaches its target groups, it will foster new scholarship, pedagogical approaches, and a new general understanding of transnational minorities’ living conditions and security strategies. At the same time, it will offer new insights into the role of the circus in Europe during and after the Nazi period. The main target groups for this proposed project are (1) the general public, in order to raise awareness of the discrimination and persecution of travelling circus groups throughout history; (2) the circus community itself, aiming to help people who suffered during National Socialism be recognized as victims of the Nazi regime and their allies; (3) historians and performance studies scholars, in order to stimulate further research; (4) archives and museums, in order to initiate exhibitions on our project’s topic; (5) primary, secondary and university students, in order to provide them with new teaching material. The project’s interactive webpage will present chosen documents, lists of archives and other archival findings, a constantly updated bibliography and a research survey. The webpage will be in English, French and German. We will combine our archival and literature studies with oral history and we will publish images, videos clips and records of testimonies and life stories online. Through social media channels we hope to benefit from the users’ comments, especially those coming from the circus community, for the continuous development of our project. We are particularly keen to know which areas and material we have not yet discussed and which material would need further development. We will have links on our webpage to different organizations, archives, circus associations, memorial sites and museums in various countries. Based on research results, and in order to attract the general public’s attention, we will also develop and direct smaller performance acts on the International Museum Day in May 2017 (Museum Europäischer Kulturen, Staatlicher Museen zu Berlin – Preuβischer Kulturbesitz) and on the World Circus Day in 2018 (Teatteri Mestola, Helsinki). Other key-partners of the project are the International Tracing Service – ITS (Bad Arolsen), Mémorial de la Shoah (Paris), Gesellschaft deutscher Circusfreunde e.V., Yahad – In Unum (Paris), and Bohusläns Museum (Uddevalla).